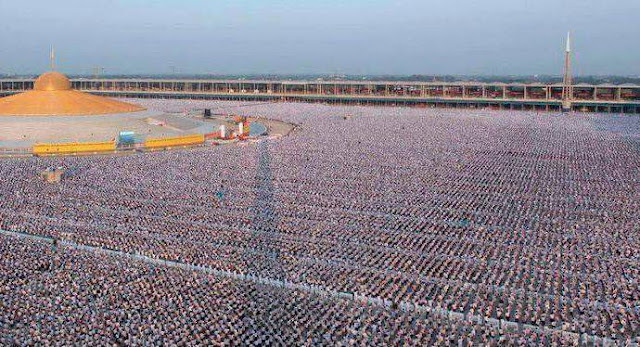 5000 Schools, 1 MILLION Children Gathered To Do THIS For World Peace And NO ONE Says Anything! Every year, a project called “V-Star Change The World” brings schoolchildren to a Buddhist temple in Thailand for a day of meditation. 5000 schools together. 1 million ‪‎children meditating for world ‪‎peace at the Phra Shammakaya Temple of ‪‎Thailand. And still, you’ve never heard about this. Why meditate? The 2 sides of “the coin for positive change” are Action and Meditation. Of course you need action to change the world, but the quality of the action comes from the quality of thoughts and energy you put into it. And this quality comes from meditation. Inner positive change results with outer positive change and these kids are a beaming light for that! The purity of these million hearts and their honest intent, are like an earthquake, a positive sonic sound that echoes through dimensions. They remind us that we are all ONE! That we should come together and create paradise! Just look the happiness on this man’s face seeing so many pure hearts standing together to create a better world! Here is a video from 2010. The words these children sing are POWERFUL! Just feel the positive energy coming out from this video alone! How to Exit the Matrix in 6 Simple Steps? Scientist Confirm: Aliens Created Our Species !